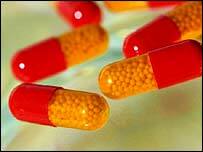 Anglo-Swedish drug giant AstraZeneca has agreed to pay $354.9m to settle charges it defrauded the US healthcare system. The company admitted giving free samples of cancer drugs to doctors, who then billed Medicare for the full price. The scheme which ran between 1993 and 1996 was designed to get oncologists accustomed to prescribing AstraZeneca's prostate cancer drug Zoladex. The doctors claimed the arrangement help them cover the escalating cost of cancer treatment. However, two physicians have been charged, and two have pleaded guilty, for their role in the Zoladex scam. As part of the deal with the US Justice Department, AstraZeneca it has also, settled, without admitting liability, for providing inducements to doctors to buy its drugs and for improperly setting and reporting prices. AstraZeneca shares were down 2.4% at $43.10 on the New York Stock Exchange.